Out at last, we thought we'd never get our hands on this avant scratchapedelic hip hop masterpiece. Thank god we we're proven wrong. 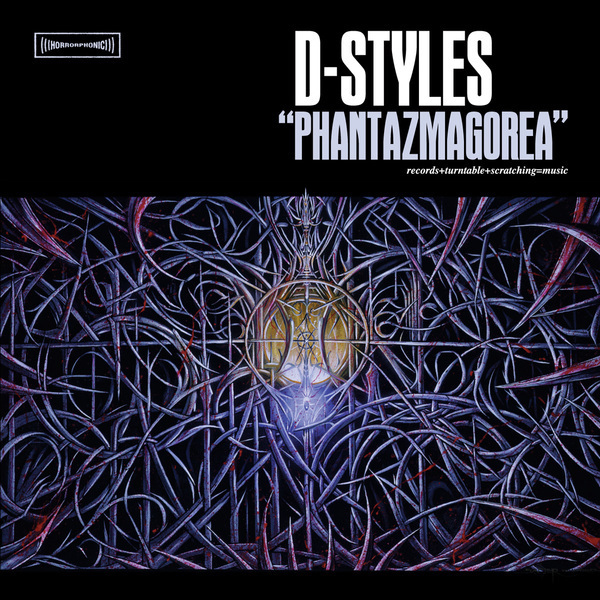 D-Styles is the outsider Invisbl Skratch Pikl who seemed Not to get the attention of Mixmaster Mike and Q-Bert - forcing him to leave the fold. Now after much label abuse D' finally drops his solo album on The Beat Junkies label. 'Phantazmagorea' is total scratch hip hop, made exclusively via two turntables, mixer and space echo - this is some perverted sick science styling. Imagine Q-Bert at his most sci-fi and crucial. Guests Q-Bert, Melo-D, Babu and Extrakd. Nineteen tracks to go against other scratch classics 'Wave Twisters', 'Scratchhappyland' and 'Ancient Termites'. A beautiful ugly sound, an essential album, very needed - indeed.